For the last in this batch of ink reviews I have chosen Noodler’s Ottoman Rose. 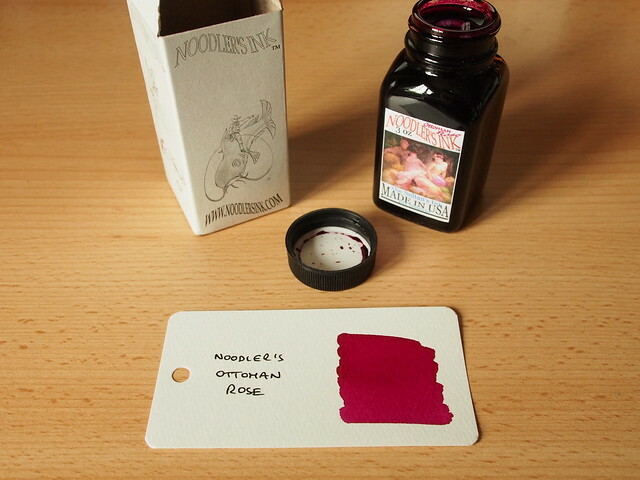 I originally bought this ink as I thought it would be the natural partner to Ottoman Azure. 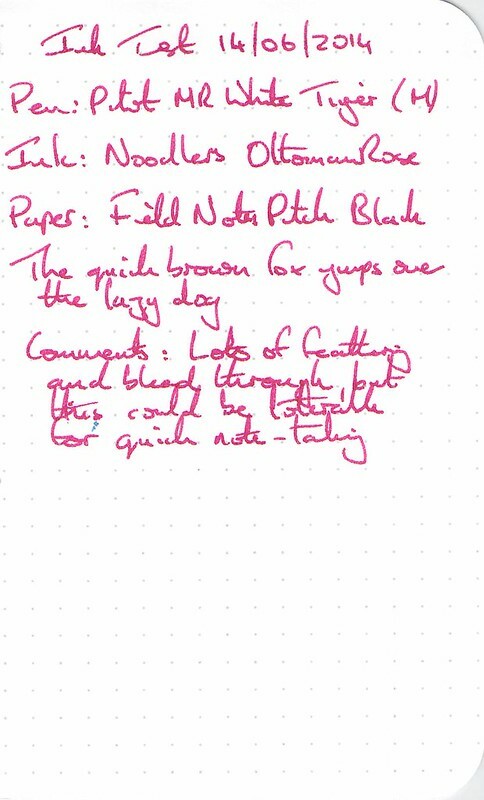 Pink or rose inks would not normally come high up my list, but the completist in me wouldn’t let me buy one without the other. I take the label to depict the Sultan in his harem. However, I’m not so sure if the colour of the ink is meant to echo roses, or maybe Turkish Delight. 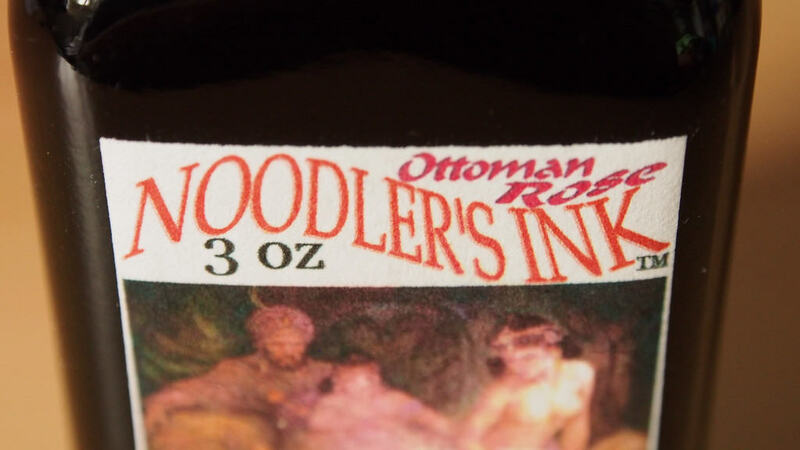 The Noodler’s website is silent on the matter. This was another Ebay purchase, so all the normal comments about price (moderate), 3oz bottle (generously filled) and the box (black line art on white) apply. 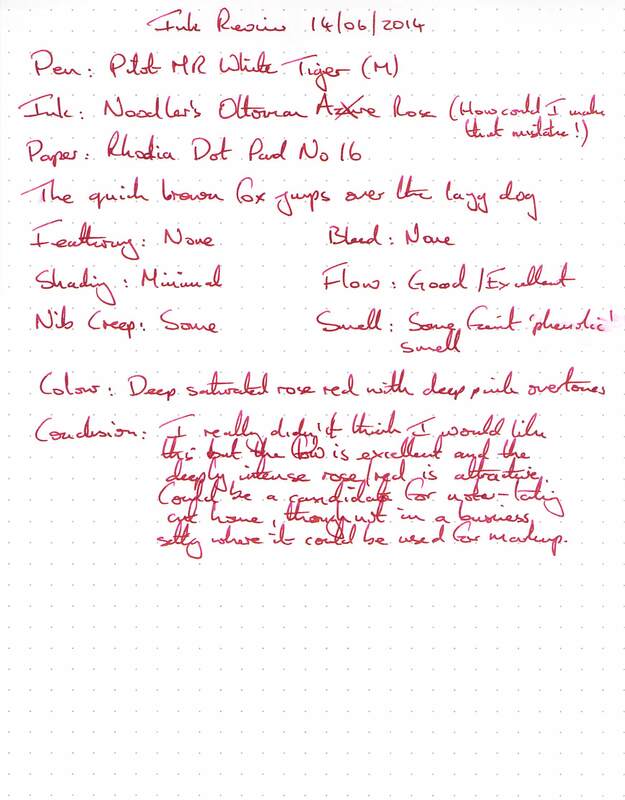 The ink showed no discernible water resistance (lines were obliterated by running water and droplets), but was easy to clean out of the pen. Dry time was very long at about 2 minutes. The writing experience was great (so much so I clearly forgot which ink I was using for a moment). 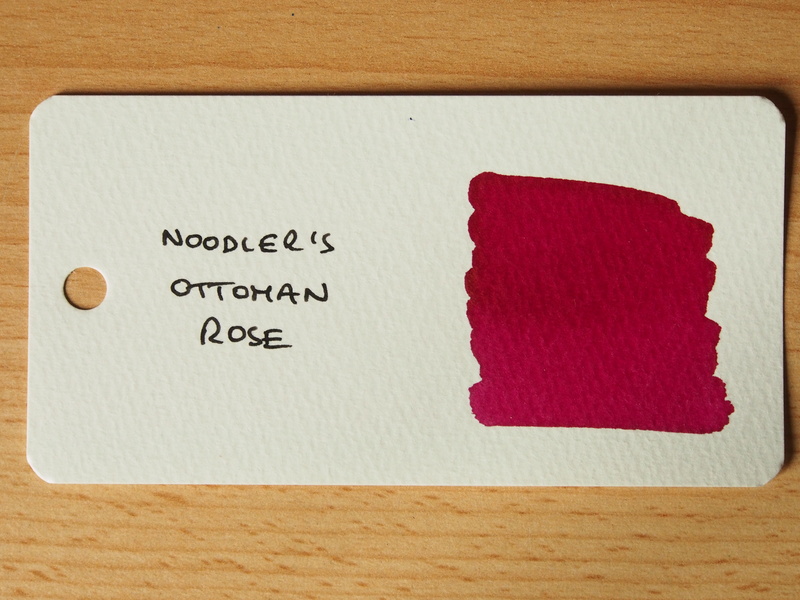 I also really like the deep saturated rose colour. The long dry time is apparent in the smudging on the right hand side. 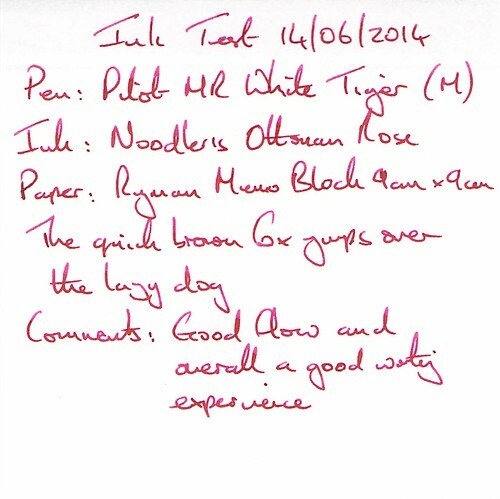 This was also a good experience, although the left was slightly less saturated on this paper. 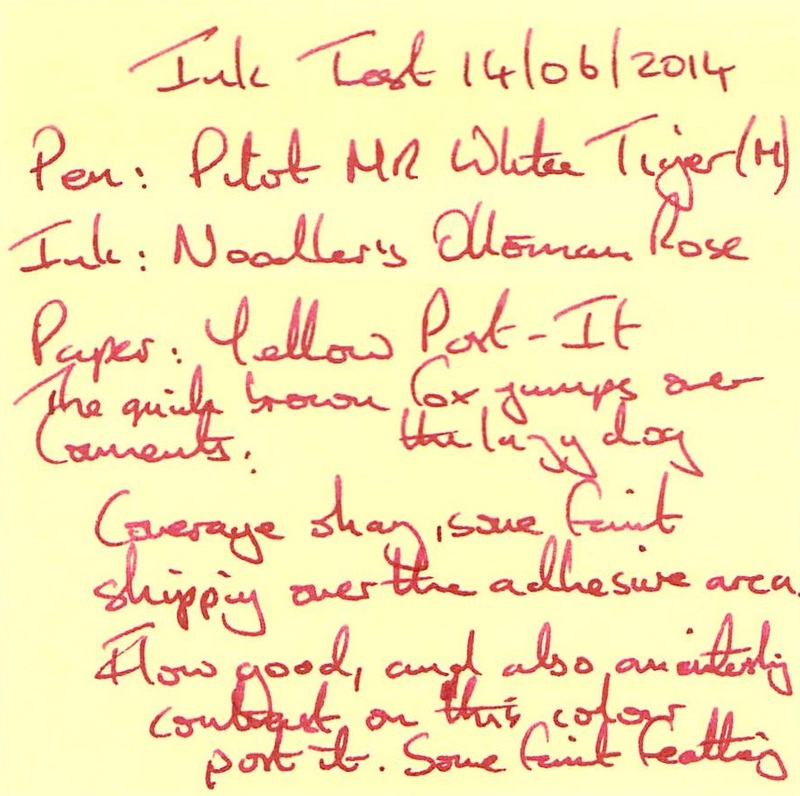 Good again, with a rather nice contrast with the yellow paper. The great leveler strikes again, but not so severely as with some other inks I can think of. Feathering and bleed through were apparent, but just about tolerable. 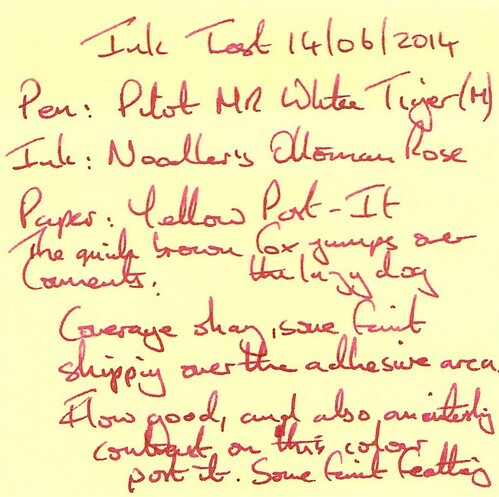 This shows some of the colour variation the ink is capable of, plus the deep saturation and purplish tones. Maybe that’s why I like it. This in was another pleasant surprise, allowing me to break out of my usual preferences. The long dry time is a slight negative, but I would be unlikely to use this in a work environment so the occasional smudge won’t be a particular problem. 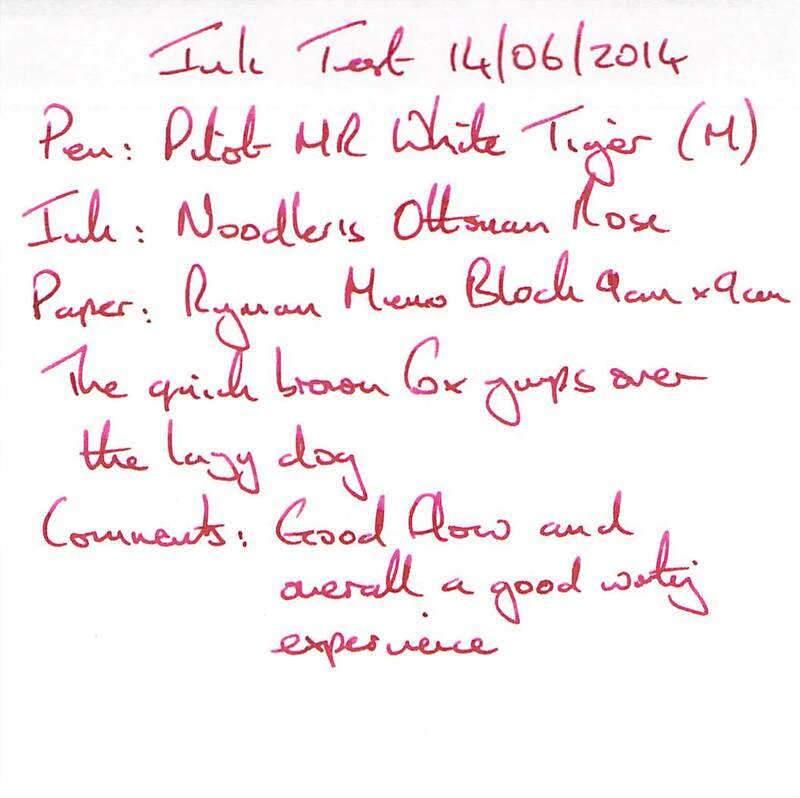 Definitely one to use from time to time as an unusual note-taker.